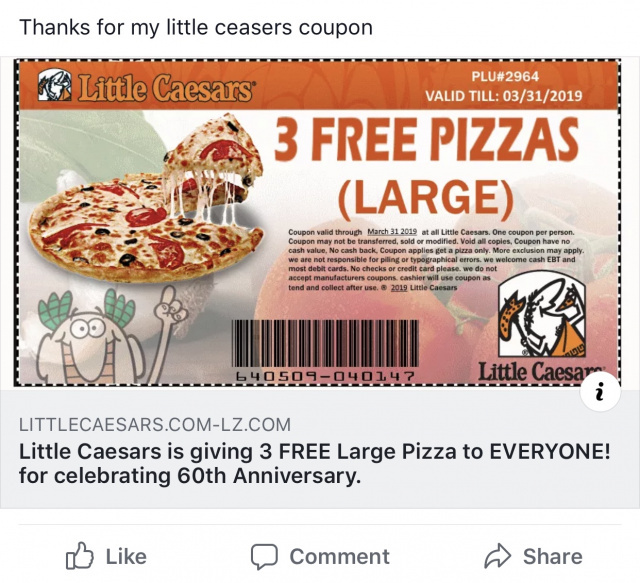 USA – Little Caesar warns there is a coupon being shared around the internet that is not a valid coupon and it may be a hack. 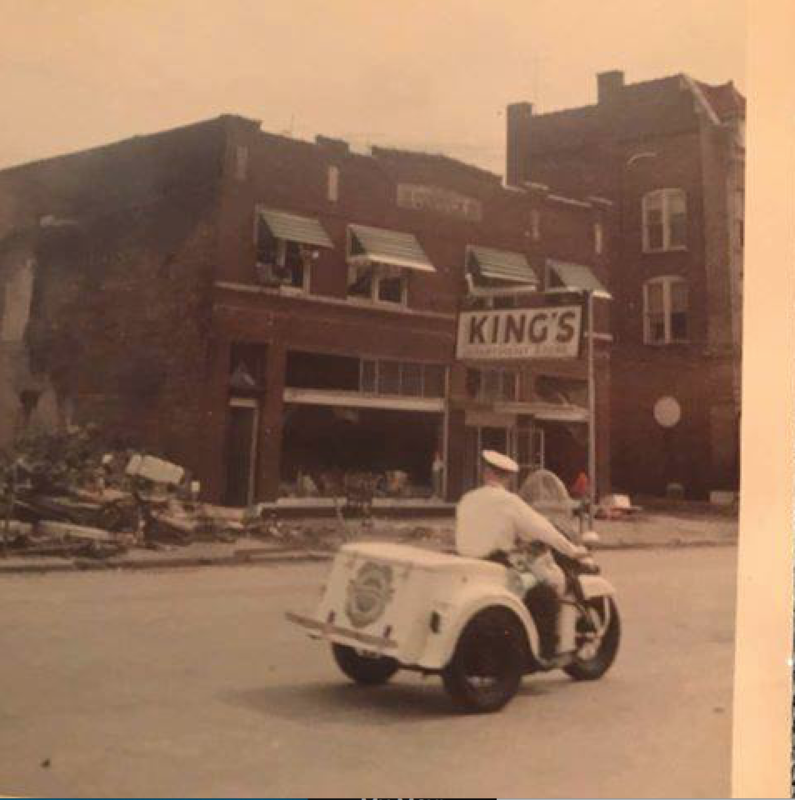 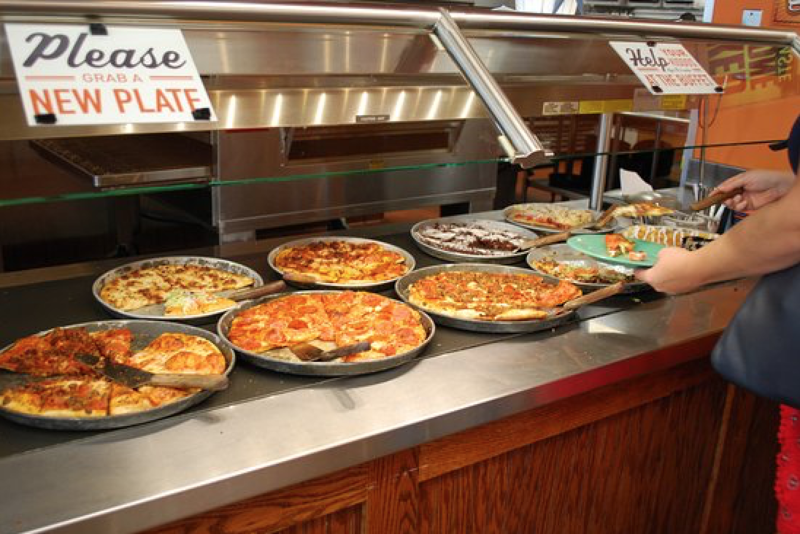 The coupon says 3 free large pizzas to everyone for the 60th anniversary of Little Caesar, and the coupon expires in March 31, 2019. The only truth to this coupon is that Little Caesars is celebrating its 60 year anniversary this year but that anniversary date falls on May 8, 2019.